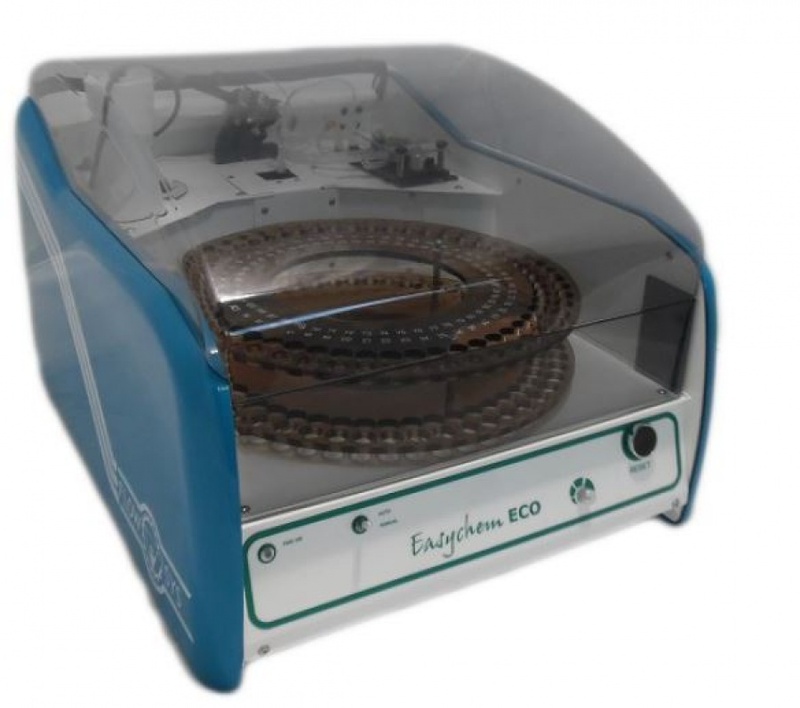 Easychem ECO is a routine laboratory analyzer to measure pH, conductivity and turbidity in water samples. Samples throughput: 60 test per hour (20 samples, 3 parameters each). The analyzer is controlled by our Fusion SW, running on a PC under Window® O.S., where the operator creates the work list containing the samples, their location, their ID code and the determinations required for each sample and then he can control in real time the automatic analysis and finally can check and print the related measurement results. Easy to use: no specific experience, short training required. Quick start up: just enter the work list and start analysis all methods profile is pre set in the software. One button shut down: shutdown procedure software driven. QC control: up to ten levels of real time QC can be used, QC results are automatically stored and plotted in a quality control chart. QC actions: in case of QC out of tolerance the analyzer can stop the run or simply inform the operator leaving trace of malfunction storing the QC out of tolerance.